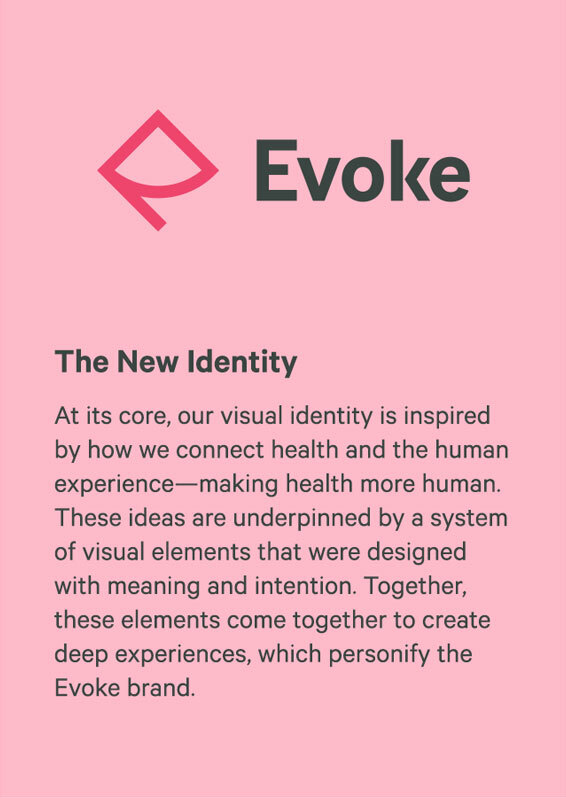 August 20, 2018 (New York) - Evoke Group (www.evokegroup.com), a leading marketing, media and communications agency designed exclusively for the health and wellness industry, today announces the creation of a new singular global agency brand - Evoke - comprised of the complementary agencies and services within the group. The collective talent, expertise and legacy of industry-leading work of Evoke Health, Firsthand, Fabric, Traverse HealthStrategy, Nitrogen Health, Tonic Life Communications and AboveNation Media will form the new Evoke - a fully integrated global agency brand purpose-built to navigate the complexities of today's health and wellness landscape. In launching the new global brand, today Evoke unveils a new identity, logo and website. "Evoke Group has always been about building and evolving it's just who we are," said Reid Connolly, CEO and Founder of Evoke. "That's how you go from being a start up to unseating many of the largest and entrenched agencies in the world. Now, as one team, we deliver effectively and efficiently across all customer channels, audiences and geographies. Few agencies in the market are as well suited with the scale of resources, breadth and expertise, and geographic reach that Evoke has today." The Evoke team, bound by the common purpose to make Health More Human™, will leverage collective talent and expertise in six core focus areas: Professional Marketing, Consumer and Patient Marketing, Market Access, PR & Influence, Media and Consulting. This holistic marketing approach enables greater strategic connectivity across audiences, increased agility and efficiency across the agency, providing clients with a single solution faster with the partners they know and trust. "When our various specialists work closely together - like discovering a market access insight that drives breakthrough creative for a patient campaign - that's where we find real exponential benefits for our clients," said Connolly. "We've always been an entrepreneurial group and even now, at nearly 600 employees strong, that entrepreneurial spirit is still very much in our blood and the new brand is a great example of bringing that passion and our vision to life." 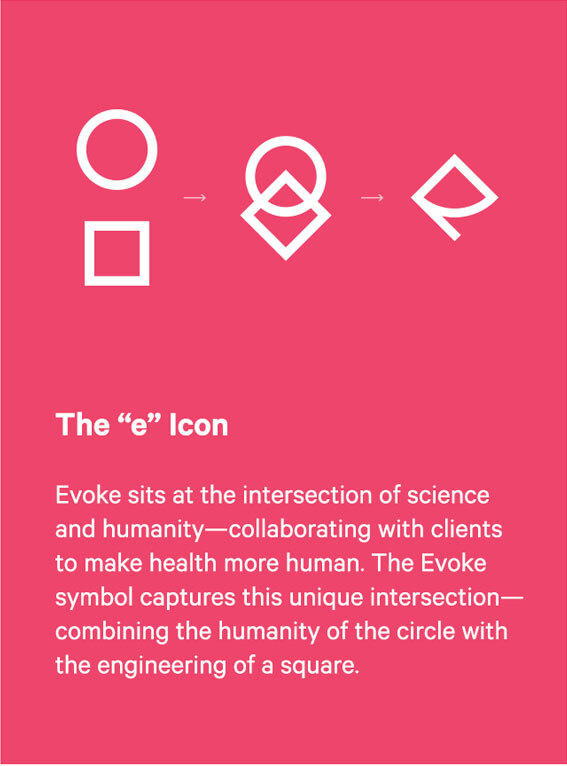 Evoke (www.evokegroup.com) is a leading marketing, media and communications agency bound by a common purpose: Health More Human™. With offices in New York, Philadelphia, San Francisco, London, Chicago, Los Angeles, Singapore and Dubai, the group of 550+ employees is working with 18 of the top 20 pharmaceutical companies worldwide. Evoke is part of Huntsworth plc (HNT: LSE) (www.huntsworth.com), an international healthcare and communications group. The Group's principal areas of focus are marketing, medical and immersive communications services to healthcare clients, which are primarily large and mid-size pharmaceutical and biotech companies. It also has a smaller Communications group, which provides a wide range of communications and advisory services including strategic communications, public affairs, investor relations and consumer marketing.